Why You Should Add Coconut Oil To Your Regimen - Hairlicious Inc.
Coconut oil is one of those "must have" oils for any hair regimen for the simple fact that it can penetrate the hair cortex up to 90% (Cortex- The middle layer that gives your hair elasticity and holds majority of the hairs strength) as opposed to Olive oil at 25%. No other oils can do that! As a result, this oil can help moisturize, condition and strengthen your hair with continued use. Coconut oil has a strong attraction to protein (hair is made up of protein/keratin); therefore, it has the ability to penetrate deeply into the cortex reducing damage to the hair cuticle during regular manipulation i.e. combing, brushing, styling etc. Most importantly, Coconut oil is known to prevent Hygral Fatigue. Hygral Fatigue can damage the hair due to the expansion and contraction of the hair during the uptake and loss of water. 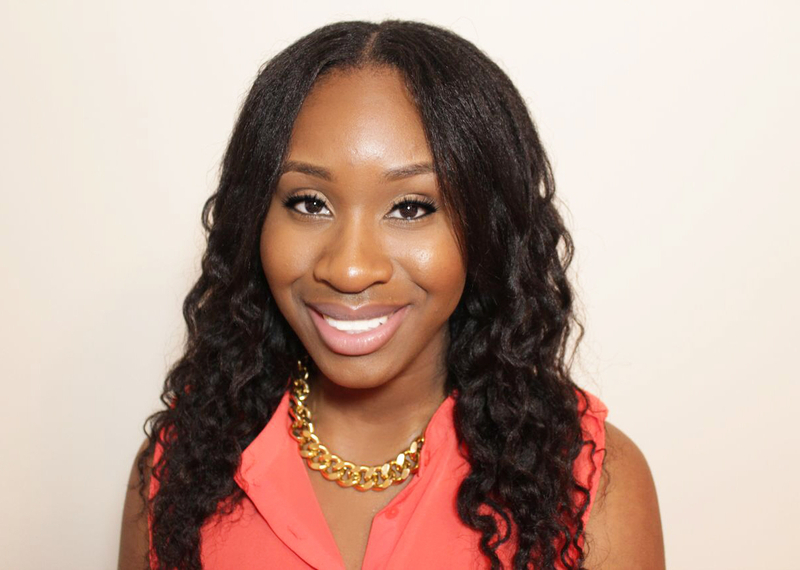 As a result, this process can eventually weaken the hair by causing damage to the hair cuticle and cortex i.e. . Swelling and de-swelling of hair is one of the causes of hair damage. 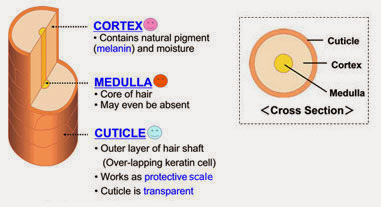 If the cuticle is constantly under stress, it will expose the cortex leading to porosity issues and breakage. 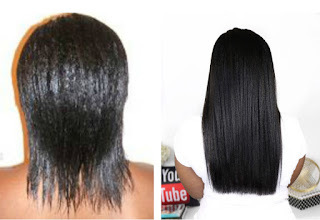 With the presence of Coconut oil, the swelling of the hair shaft is reduced. Coconut oil can be used as a pre-wash treatment (great for preventing protein loss) to prevent the hair shaft from swelling and taking up too much water. This will help prevent the cuticle from being raised and exposing the cortex = less damage. Can penetrate the hair cortex up to 90%. Has a high affinity to protein, meaning that it binds easily to the natural proteins that can be found in our hair (Keratin). It can help reduce cuticle damage due to regular manipulation i.e. brushing, combing, styling. Coconut oil as a pre-poo/pre-wash treatment (applied to dry unwashed hair) can prevent the expansion and contraction of wet hair preventing weak, damaged hair. Get your hands on Virgin or Extra Virgin Coconut oil (unrefined is best). Take a few tablespoons, rub it in your hands until it melts and coat your scalp and hair with the oil. Focus on your ends. 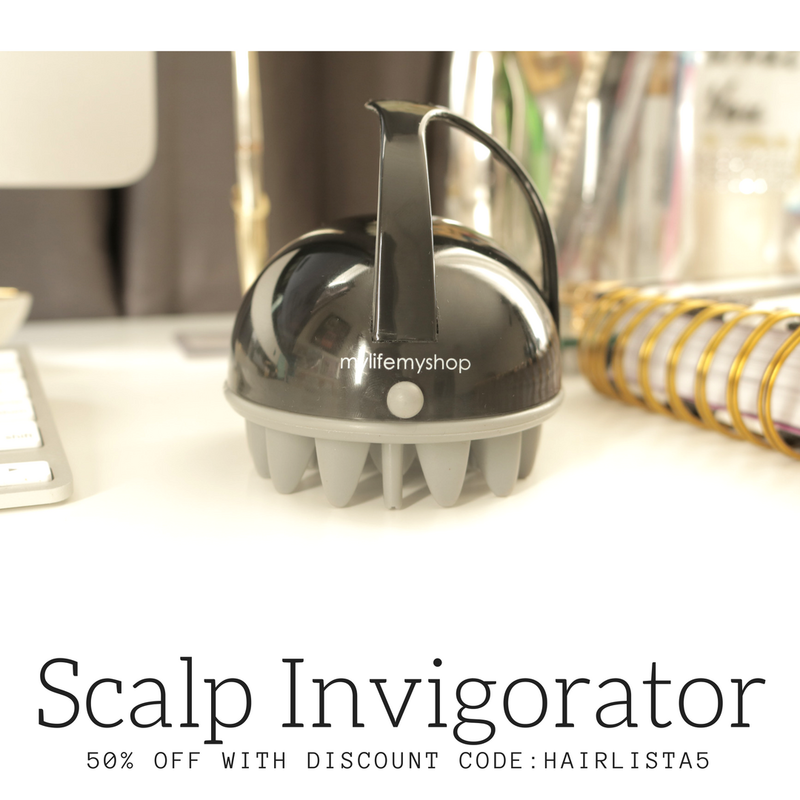 Be sure to gently massage it into the hair and scalp. Apply a plastic cap and let it sit for 15 mins with heat or 30 mins/1 hour without heat. The longer the better! Follow up with your favourite SLS free shampoo or Co-wash conditioner. Be prepared to notice softer, smoother, stronger hair! Yes, I went through the same scenario with my hair where Coconut oil was concerned. Since then I've learned that a little bit goes a long way since it's the oil is so potent. I just use my fingernail as a measuring tool and it works like a charm to avoid the hard crunchy feeling. Glad you like it too. Thanks for reading! Im so glad I read this article. 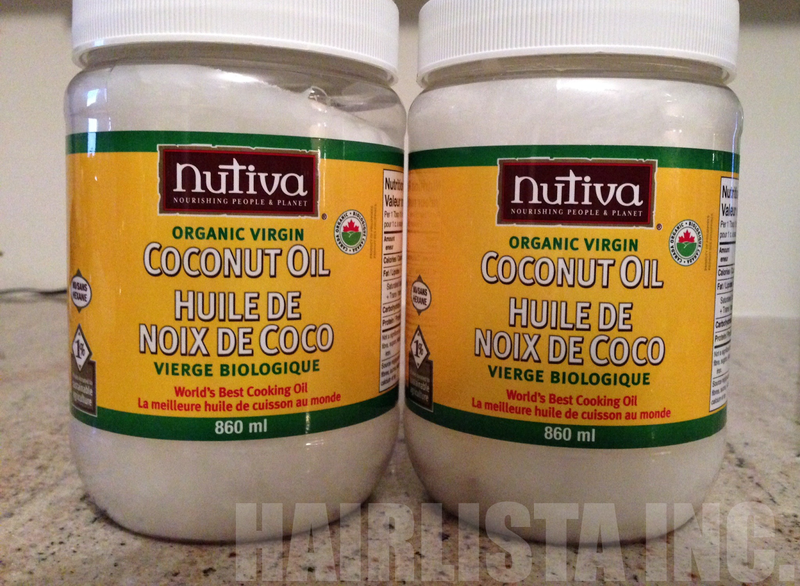 I've been shying away from coconut oil, despite the benefits because it made my hair hard. In general, I can be very heavy handed with product, so this could very well be my problem. 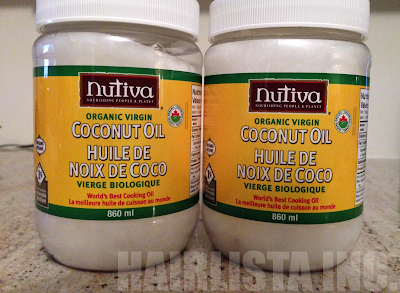 Off to buy some raw, unrefined coconut oil for my wash day this weekend! Hi Temmy. Happy New Year to you as well!! Yes, "Aqua" is also known as water. Are you referring to ORS Olive Olive Oil Moisturizing Lotion, then yes, it is water based. However, it's primarily made up of oils, so your hair may not feel entirely moisturized with it. Awww :) The pleasure is all mine!! You brought up an interesting idea. I'll look into it further. From what I know off the top of my head, Gelatin is known as a "hard" protein treatment. I'll do a little more research. Thank you so much for reading. like your article and so in loove coconut oïl! i have the feeling that the goods results with coconut oïl dépends on the quality of the oïl... from this week i use the same brand as you(nutiva commande on iherb) and my hair was so soft and shiny!in brief this one is my staple! have a nice day and sorry for my bad English i'm french!lol! Most definitely! The quality of oil makes a world of a difference! I prefer the Nutiva Brand too. It's a huge jar and the oil usually remains soft, I'm assuming because it's in a plastic jar verses glass jar. It's easier for heat to penetrate. Coconut oil is the bomb! Thanks for your response and for the ORS (yes)! I had a bad relaxer day yesterday, my didnt relax just the edges and was 20weeks post before doing so. Now I want to re-do it again, how soon should I do it some days/weeks later? How many? Hi Temmy! 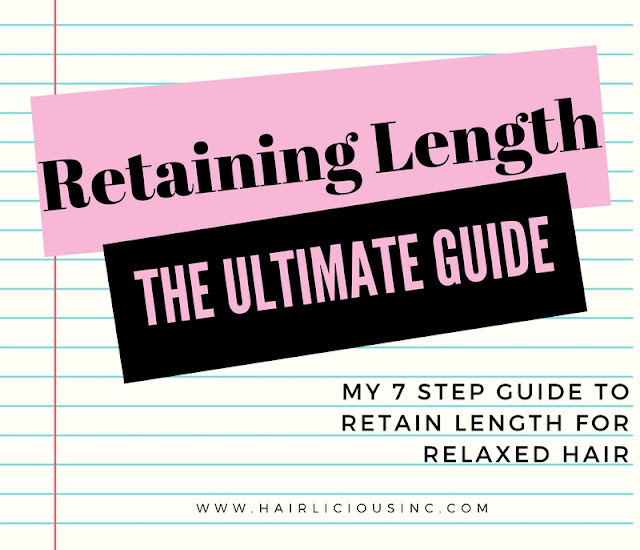 It's best to do a re-touch roughly 6-8 weeks after the first relaxer. I think the extra long stretch of 20 weeks made your hair under processed and the relaxer didn't "take" too well. After a relaxer it's best to use a protein conditioner/treatment to restore and rebuild the hair, so Africa's Best Mayo is perfectly fine. Thanks so much for this! I used to use coconut oil all the time and then I stopped (don't know why) but I'm definitely going to start using it again - especially after reading this. It's so easy to stop and forget what we did in the past and how much a certain product worked for us. I'm glad you are back on track and using coconut oil consistently. Your very welcome hun. Yes, Coconut oil is very multipurpose. It's truly liquid gold. This is a great informative post! I've been wanting to try coconut oil but didn't really know where I would use it in my regimen until you mentioned using it in a pre-poo; I just recently started doing them. The coconut oil is a definite way for me to pre-poo effectively! No problem hun. I'm glad this post was informative for you. I wish I knew about all the benefits Coconut oil had to offer when I first started my hair journey. Better late than never. I love coconut oil, I've been using it since 2009 and never looked back! I use coconut oil as my moisturizer (m&s), can it be used as a sealant as well? Coconut oil can be used as a sealant too. Thanks for the information. I luv coconut oil. It makes my hair and skin extremely soft. Never tried it as a prepoo before. Where did you purchase your jars from. It's time for me to restock on all my oils. Thank you. Aww thanks for reading!! Yes, it's amazing as a prepoo. You should definitely try it out. I got my jars from Healthy Planet. It's an organic grocery store. They were on sale $12.99/each. Stock up!! Sorry off topic but... Out of Keracare Humecto & Kenra moisturizing conditioner which one would you go with? It depends what you are using it for. For a deep condition with heat, I would say Keracare. For a quick condition in the shower, Kenra is Amazing!!! Thank you very much. You can purchase this coconut oil on amazon.com or any local health food store. when I first heard about the benefits of coconut oil for hair. 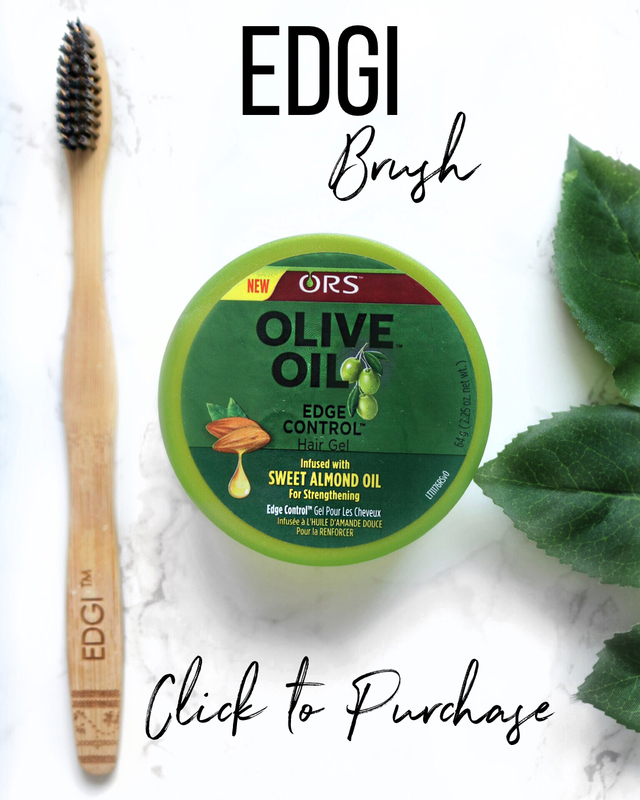 I tried different brands but did not particularly like the oil because my hair felt dry. I came across tropical traditions coconut oil for hair, and I must say I am now a fan of coconut oil. Thank you Sunshyne!! My order came yesterday!! I cannot wait to start on this new adventure with Coconut oil!! :) Best!